A male-oriented product offering does not guarantee success for a male-focused sales force model. Is the direct-selling industry ready for a testosterone injection? It’s a question corporate leaders and industry consultants are mulling as they strive to expand the relatively flat $36 billion industry beyond its female-centric home-party roots. To this day, the industry remains largely a woman’s world, with men making up less than a quarter of the 20 million people involved in the United States, according to the Direct Selling Association. But that number has grown significantly from a decade ago, when just 12 percent of direct sellers were male. As cultural norms shift, and men gain a greater interest in both work-at-home jobs and health and wellness products, the time is ripe for direct sellers to engage more men as both distributors and consumers, says Bernie Landes, president and founder of California-based Nutritional Products Consulting Group. As long-term, pension-providing jobs go by the wayside, some argue that direct-selling is just what penny-pinching Baby Boomers need, too. “I believe the entire (direct-selling) industry is poised for explosive growth and can be one of the most significant solutions to America’s current retirement savings crisis,” gushed Robert Laura, a Forbes contributor in a recent opinion piece. But would guys be any good at direct-selling? That’s a matter of some debate. Direct selling initially got its start with men, who in the mid-1800s went door to door selling books, vacuums, and other household goods. In 1886, one of those salesmen, David H. McConnell, began to offer perfume samples to his female customers as an extra perk. “Since women had a passion for his products and loved networking with other women, McConnell was inspired to recruit them as sales representatives,” explains the website of the company he ultimately created—Avon. Women were also better suited to entertain at home, while their husbands were at work. And they were looking for an additional source of income that they could call their own. The home-party movement was born, with everyone from Tupperware to Mary Kay following suit. More than 150 years later, 78 percent of direct sellers are still women. “Women, by nature, just socialize and cooperate better than men do and those skills are inherent to success in direct selling,” says Loren Israelsen, president of the United Natural Products Alliance. For a long time the products—kitchen knives, containers, perfume, and make-up—were also geared toward women, in their historic role as homemakers and family caretakers. And direct selling still often relies heavily on sampling the product, whether it’s an essential oil or a skincare product that may come off as more feminine to some men. Even in cases when the product itself is far from feminine, male-targeted multi-level marketing companies have been short lived. One company, Man Cave, made headlines nationwide when it launched in 2010 with a platform of home parties for men, dubbed “Meatings” where guys sold grilling accessories and craft meats to guys. “My uncle is a big entertainer, and one day he was showing off everything he had learned about smoking ribs with different kinds of wood chips and various rubs. I thought, ‘What if we taught other guys to grill like this?’,” recalls company founder Nick Beste, who launched the company when he was a junior in college. Customers liked the meat, but could live without the networking party. “They would call on a Thursday afternoon and say, ‘I’m having a barbeque tonight, can I stop by to get some of your meat?’” In 2013, the company scrapped the multi-level marketing model for a traditional retail model. It has since grown rapidly, to 1,950 stores nationwide. While male-dominated multi-level marketing companies have yet to become a trend (and may not), many large, long-standing MLMs say they are absolutely seeing more men enter the business. “We certainly see the gap narrowing,” says Jim Ayres, managing director for Amway North America, noting that traditional economic and career models are evolving rapidly and a “gig economy” is taking hold. Already, 48 percent of single applicant Amway businesses in North America are male-owned businesses, while 30 percent of all Amway businesses in North America have at least one man in their business. According to Amway’s Global Entrepreneurship Report, men actually exhibit “a greater propensity for enthusiasm toward entrepreneurship” than women, with 60 percent of men saying that are likely to start their own business while 43 percent of women share that view. 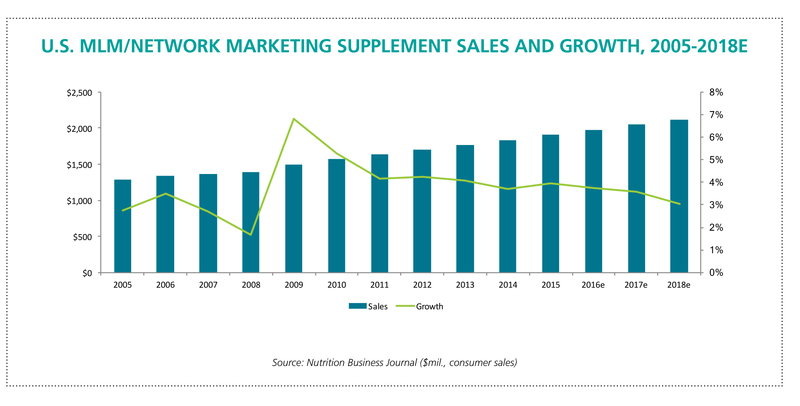 AdvoCare was not able to provide data on its male to female distributor ratio by press time. But according to an ESPN Magazine profile, the recent focus on men appears to be working, helping the company generate $719 million in net revenue in 2015 and growing its sales force to 640,000, up from 97,000 in 2010. The article was highly critical of AdvoCare, for billing their company as a “pathway to financial freedom” and allegedly misleading men into thinking they could make more than they actually could as a distributor. “In reality, only a tiny fraction of AdvoCare members earn anything close to a modest income, even as they’re pressured by higher-ranking distributors to keep buying inventory,” the article warned, noting that only 23,678 of its distributors earned more than $1,000 and only 2,800 earned more than $10,000. Its bottom line message to its largely male readership: If you’re considering direct selling, don’t quit your day job. Kirk Jowers, vice president of corporate relations and European markets for essential oils giant dōTERRA, makes no pretense that direct-selling can take the place of a full-time job. He points out that 82 percent of his distributors will “never see a check.” They join up because they like the product and enjoy the discounts. Only 18 percent are “active builders” looking to make an income. He says that while only about 12 percent of his distributors are men, he too is seeing a slight uptick in interest among them, particularly when it comes to sports-performance products like its blockbuster Deep Blue. He and Israelsen note that in some areas of the world, due to cultural and economic differences, men are far more inclined to engage in direct selling. (In India, men account for 42 percent of direct sellers, according to the India-based Business Standard). What they and others in the business do expect to see more of going forward are husband-and-wife teams joining direct-selling companies, where they combine their different skillsets and sales styles into one power couple. 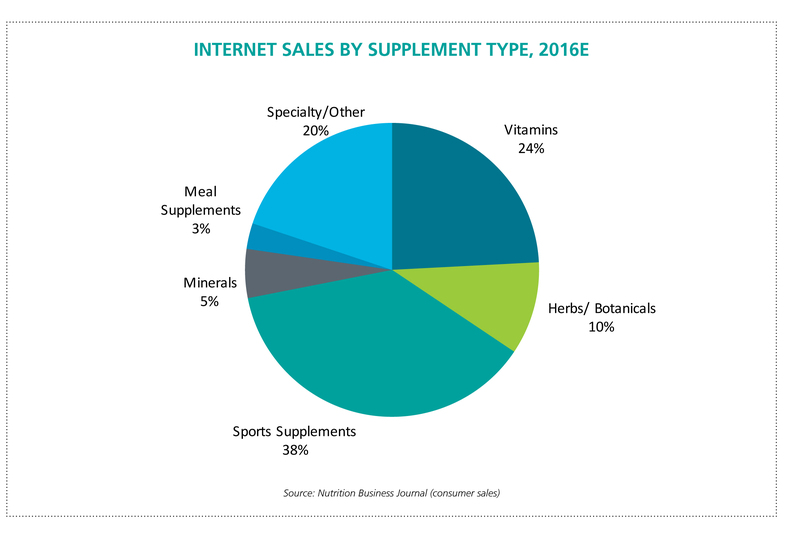 From Nutrition Business Journal's 2017 Direct-to-Consumer issue. For the full issue, including extensive market data and state of the industry analysis, call subscription services at 303-998-9536.